Several brands of crayons and toy detective kits have tested positive for asbestos, a knowncarcinogen, according to a report released this week by an environmental group that’s advocating for the government to crack down on the substance. The Environmental Working Group (EWG) Action Fund partnered with two independent laboratories to test for asbestos in crayons and children’s crime scene fingerprint kits purchased at national retailers. 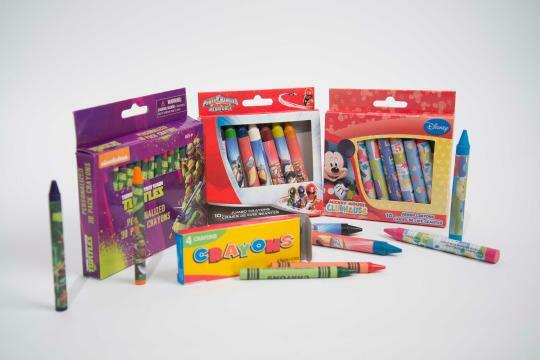 Four brands of crayons and two crime scene kits came back positive with trace elements of the substance — even though toy manufacturers have previously promised to make sure their products are free from the potentially harmful material. Products that tested positive for asbestos were all manufactured in China and imported to the United States. 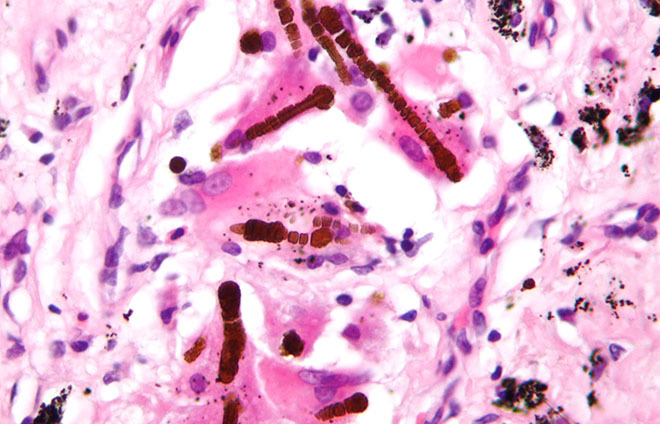 The toys essentially contain microscopic asbestos fibers that children may end up inhaling as they use them. The risk of asbestos exposure from the products tested — which include crayons marketed with the popular characters Mickey Mouse, the Power Rangers, and the Teenage Mutant Ninja Turtles — is relatively low. 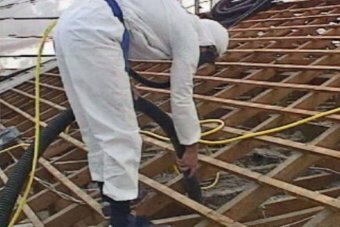 But environmental researchers and health experts argue that children shouldn’t be around asbestos all, particularly since the government has acknowledged there’s no “safe” level of exposure. A long-delayed cleanup proposal for a Montana community where thousands have been sickened by asbestos exposure would leave some of the dangerous material inside houses rather than remove it, as government officials seek to wind down an effort that has lasted more than 15 years and cost $540 million. Details on the final cleanup plan for Libby, Montana, and the neighboring town of Troy were to be released Tuesday by the Environmental Protection Agency. Health workers have estimated that as many as 400 people have been killed and almost 3,000 sickened by asbestos dust from a W.R. Grace and Co. vermiculite mine that operated outside Libby for decades. 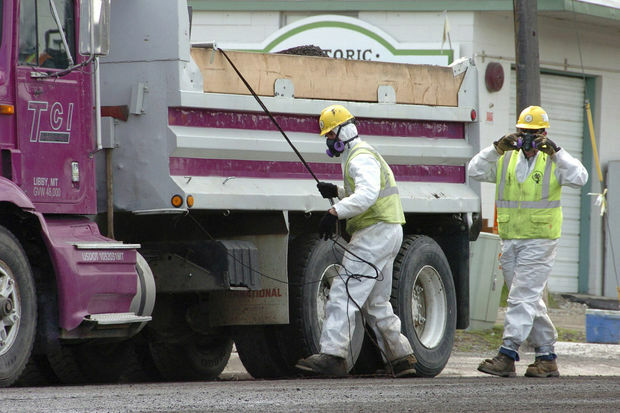 Asbestos-containing vermiculite would be left behind only where it does not pose a risk of exposure to people, such as underground or sealed behind the walls of a house, EPA Libby team leader Rebecca Thomas said. “You might have vermiculite in the walls. But as long as it’s sealed within plaster or behind drywall and nobody can breathe it, it does not pose a risk,” Thomas said. It was an underground surprise they hadn’t bargained for. 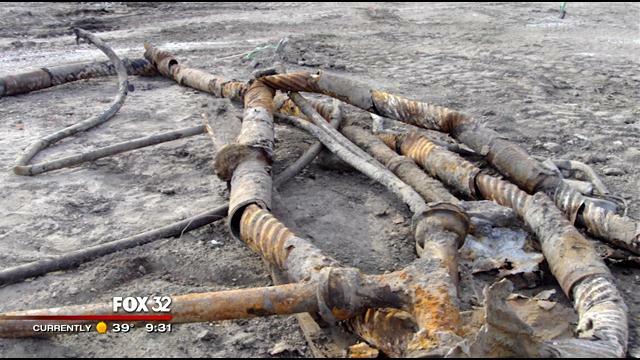 A southwest suburban contractor is suing the city claiming it hid dangerous asbestos buried under a construction site. The site is now a police station on the near South Side at 14th and Blue Island. The 12th District Chicago police station has been open for two years. However, the battle over what was discovered underground will rage on. 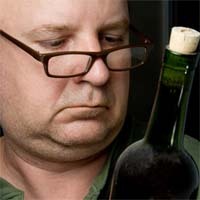 Fox 32: you call this an act of fraud? “I did. And we do. We believe they fraudulently induced Harbour contractors to enter into the contract,” said attorney Charles Lewis. Lewis represents Harbour contractors of southwest suburban Plainfield, which has filed a multi-million dollar lawsuit against the Public Building Commission of Chicago. That agency, which is headed by the mayor and made up of political appointees, is in charge of building and financing new construction for the city of Chicago and Cook County. In 2010 the Public Building Commission, or “PBC,” awarded Harbour a 20-million dollar contract to build the new police station at 14th and Blue Island, on the site of the old ABLA public housing project. Residents of one of Alexandria’s largest affordable apartment complexes grilled federal regulators, local authorities and their landlord Saturday over the discovery of asbestos during renovations of their homes, angrily asking why it took three months for officials to halt the work. Owners of the 530-unit Hunting Point on the Potomac, formerly Hunting Towers, received a rare stop-work order from the Environmental Protection Agency last week after inspectors discovered asbestos in the floors, doors and windows. The agency also found that workers were not taking legally required precautions. During four visits to the 63-year-old complex since the beginning of the year, EPA officials found crumbling asbestos in apartments, halls and trash areas where windows and floor tiles are being replaced. No notice of the danger was posted, the EPA said, and workers did not seal the area to protect residents. No certified supervisor was on the job, nor were workers certified in the task of removing hazardous materials. 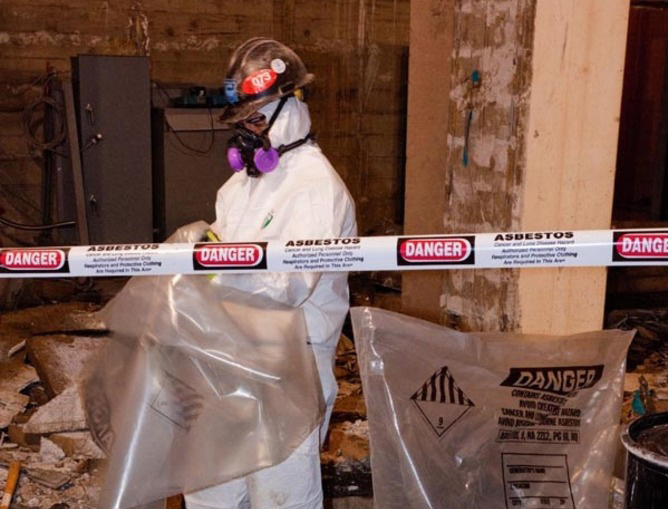 The EPA has ordered testing for airborne asbestos fibers.